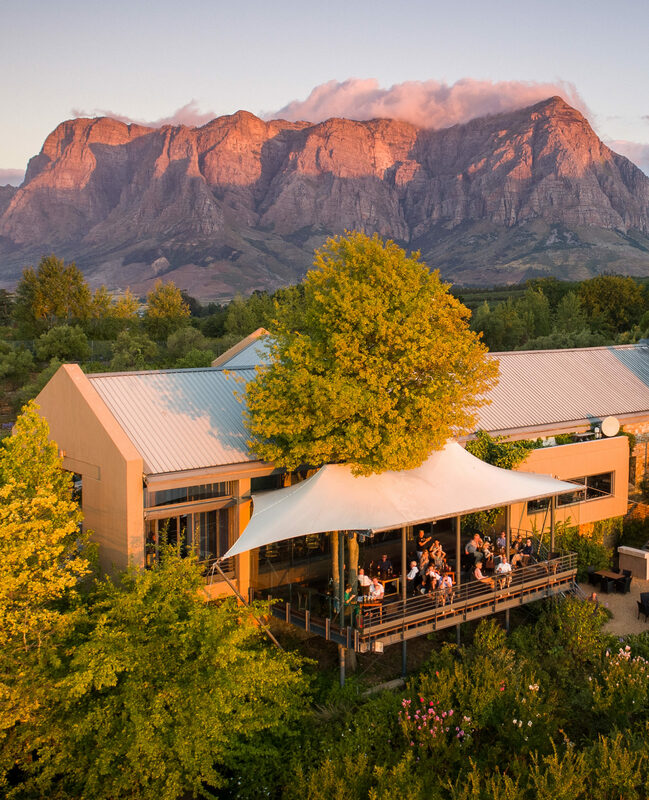 Tokara Restaurant, situated 400 meters above sea level on top of the Helshoogte Pass outside Stellenbosch, offers its guests terroir focused contemporary cuisine, award-winning wines and dramatic views over Stellenbosch and False Bay. The building housing the restaurant is a Cape architectural icon utilising glass, steel and stone. 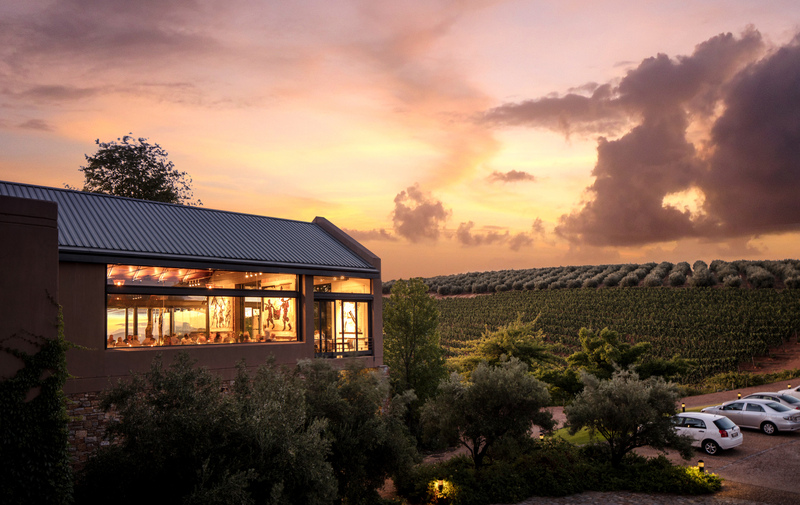 Tokara Restaurant opened its doors in October 2001 and was one of the very first iconic winery restaurants established in the Cape Winelands area of South Africa. A prominent feature of the restaurant interior is five large-scale tapestries by internationally renowned artist William Kentridge. No other venue in the world has as many of these works from Kentridge’s “Porter Series” on display to the public. We are proud to showcase chef Carolize Coetzee’s menu inspired by the South African countryside and farm produce. Carolize grew up in Humansdorp, a small town of some 30 000 residents located in the Eastern Cape Province of South Africa. She recalls that some of her favourite memories are of meals spent laughing and telling stories around the kitchen table, enjoying her mother’s lovingly prepared food and heirloom recipes being passed on from one generation to another. 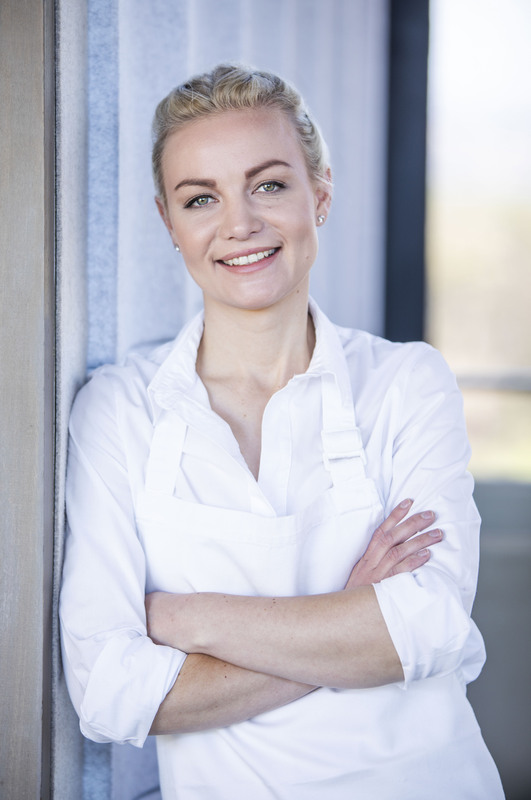 The generosity of chefs – whether professional or skilled lay cooks such as her grandmother and mother – are a source of inspiration for Carolize that she infuses with her own food memories in designing refined “plaaskos” (farm cuisine) for the Tokara Restaurant menu. The Tokara Restaurant drinks list is a personal and evolving selection of fine wines and spirits intended to compliment the gastronomic feast you will experience. 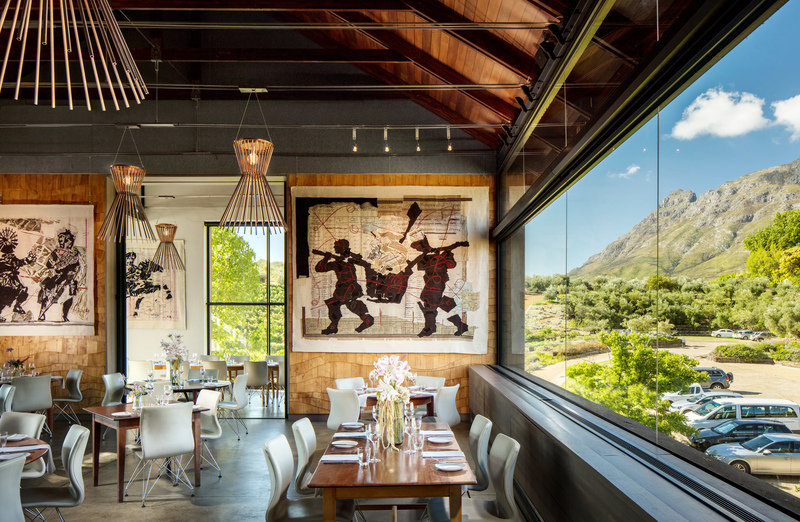 The full range of Tokara wines are showcased on the list and are also available by the glass. The list comprises of wines from neighbouring farms, estates elsewhere in South Africa and also some of the most prestigious European estates. Sommelier Jaap-Henk Koelewijn will be happy to assist you in pairing a bottle of wine with the food you wish to order or to provide information on any of the drinks on this list. Unfortunately no Bring Your Own wine allowed. We are always on the lookout for new talent. If you would like to join our team, please send us your CV. Copyright 2018 Oasis Terrace Trade CC. All rights reserved.